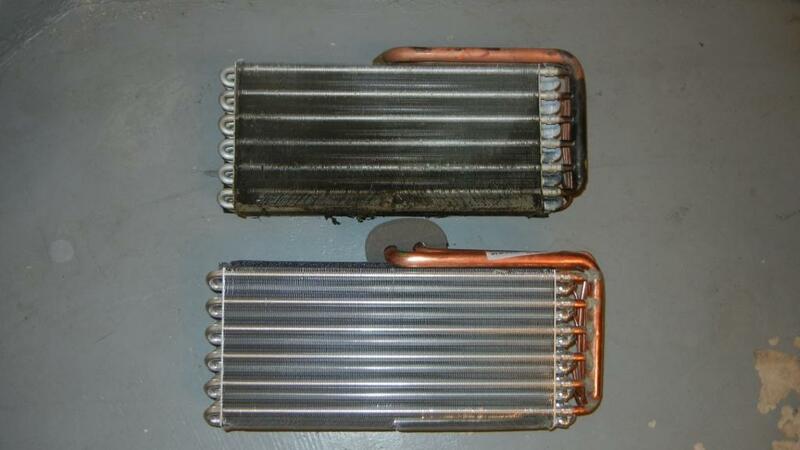 I need to replace the AC evaporator on my 1997 C4S. 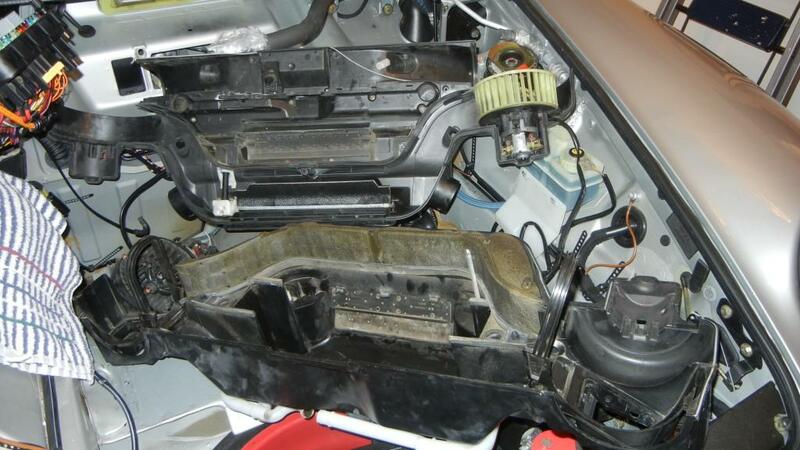 The so called Porsche specialist mechanics are quoting anywhere from 5 hours to 12 hours for the job. And they all charge over $125/hour. Does anyone know what is the correct time recommended by Porsche for replacing the evaporator. Also any recommendationf for a good mechanic in the Bay Area? My trusted mechanic moved away. Ten to twelve hours is normal for this job. Go with the Griffith's Kuel evaporator. My indie charged me around 9 hours I think. The whole front trunk has to be emptied, including the gas tank coming out. It's not easy. I would recommend Bob Grigsby from RMG Enterprises in Sunnyvale. Make sure you drive there with very little fuel. Echo Bob @ RMG. The Stable in SF proper is good too. For those who have done it can the job be characterized as lengthy or is it actually difficult? I have done it 3 times. The last time took about half a day. I would say it is more "tedious" than difficult. Thanks. Sounds like 3-4 weekend days including beer stops. Paul, good pics. Did your old coil fail as in leak or what happened. Is there any way to clean that coil, I'm guessing not unless you want to do 6-10hours labor to get to it. Yes, basically the evaporator developed the leak. It held a charge and worked for a couple of months, but the car wasn't used that much. 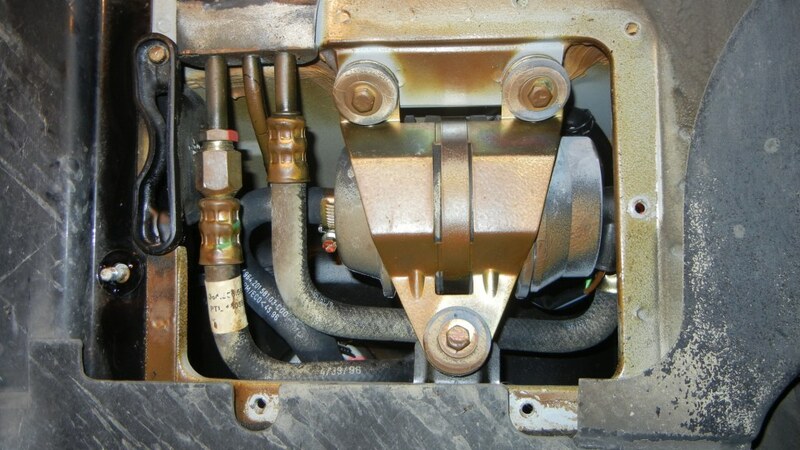 It's completely unserviceable, you can't get to it without splitting the air box, and you can't get to all the clips and screws to split the airbox without pulling the whole thing. If you suspect a leak, there is a drain underneath the car next to the fuel pump, you can see it on the left here gunked up with oil/refrigerant residue.